Is It Time to Upgrade your ATMs? Nearly a third of Americans visit the ATM at least once a week. Even after 50 years, ATMs continue to be an important self-service interaction between credit unions and members looking to deposit checks, withdraw cash or check their balance. Research from Mercator Advisory Group shows that members value the convenience of ATM locations and surcharge-free access the most when it comes to ATMs (both of which they receive as part of the CO-OP ATM network); but as technology evolves, members are beginning to want more from the ATM experience. When it comes to experience, often it’s the little features and enhancements that members appreciate. In a recent Mercator survey, members overwhelmingly indicated that having flexibility around cash withdrawals (with options like choosing bill denominations and increased withdrawal limits) was important to their ATM experience. Other popular features, particularly among travelling members, include the ability to withdraw cash in multiple currencies and being able to set language preferences. It is also important to ensure your ATMs have the features that members will want. For instance, with mobile and contactless payments continuing to rise among U.S consumers, it is not surprising that more ATM members are interested in cardless ATM access. According to the Mercator study, 67% of members use or would be willing to try some form of cardless ATM transaction. As fraud becomes more prevalent, ATM security must continue to be a top priority for credit unions. Enhancements like cardless cash access can help prevent card skimming while configuring your ATMs to return members’ debit cards before dispensing cash (“card-before-cash”) can help curb card theft. But what about the hidden security threats you don’t see at the ATM? FICO found that the number of compromises of ATMs and merchant devices rose by 8% last year. Fraudsters are increasingly looking for security vulnerabilities that come with old or outdated software. 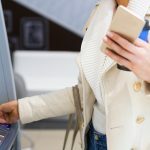 While educating your members on ways to protect themselves at the ATM is important, it is also vital to ensure your ATMs are equipped with the most up-to-date operating systems and fraud mitigation software. Finally, one change you definitely will need to implement for your ATMs is upgrading to Windows 10. Starting January 14, 2020, Microsoft will no longer support Windows 7, the operating system that drives majority of the ATMs in U.S. and worldwide. In practical terms, this will mean the end of security updates, security patches, non-security hotfixes, free or paid support options and online technical content updates. 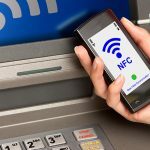 Aside from security and PCI-compliance, upgrading to Windows 10 will also equip your ATMs to respond to the video- and app-based platforms of the future. Whether it’s biometric scanning, the ability to display video ads for products and services, or make charitable donations, the newest ATM features and programs will be written for and supported by Windows 10.